Homestyle Gathering 4 Your Homekeeping Destination is now live! Hope you will join us for the new link party on the block! I was down with the flu this past week, so I was a bit late getting to visit y’all, but I DID visit each post, and it was so inspiring. I even met some new faces! FUN! This week, Miss Rita Joy from Harbour Breeze Home is our hostess, so, take it away, Rita! Welcome friends! I’m Rita Joy from Harbour Breeze Home, and I’m thrilled to be your host for this week’s Homestyle Gathering Link Party. It was so fun to visit last week’s submissions and get inspired by so much talent and creativity! 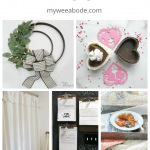 If you are new here and are wondering what Homestyle Gathering is, it’s a place for home decor bloggers to link up posts related to homemaking. Each week 5 features are chosen to be highlighted by a host. (This week, that’s me! ;)) If you’re not a blogger, click on some of the buttons to be inspired and meet some new friends. Susan from Crafting a Family has a sweet tradition of making crafts with her kids. 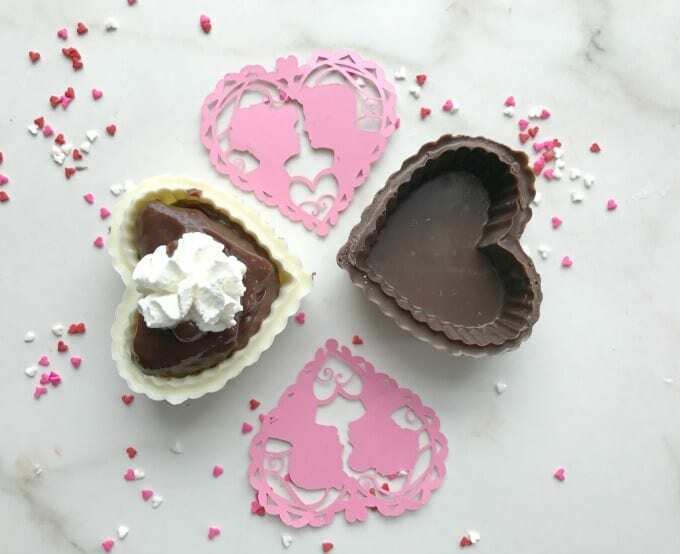 These special chocolate valentine boxes with pudding inside look so sweet and special. 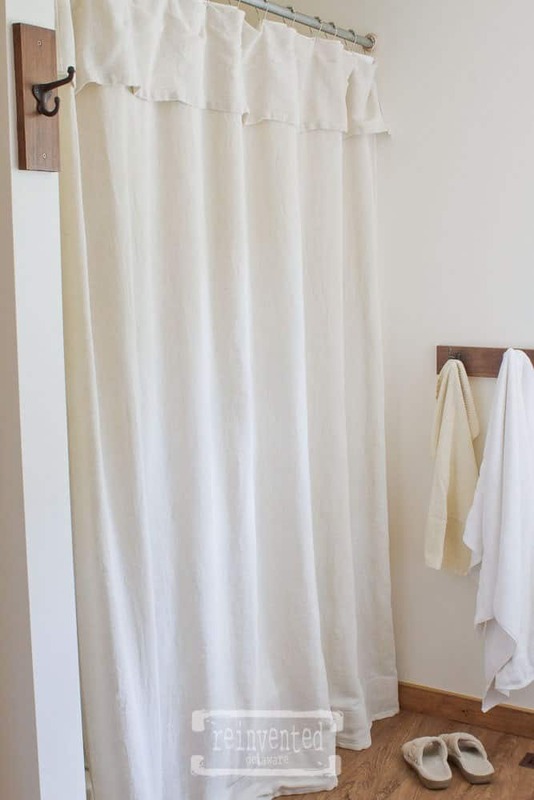 Cindy from Reinvented Delaware gives a fabulous tutorial on how to sew a farmhouse style shower curtain in this amazing post. 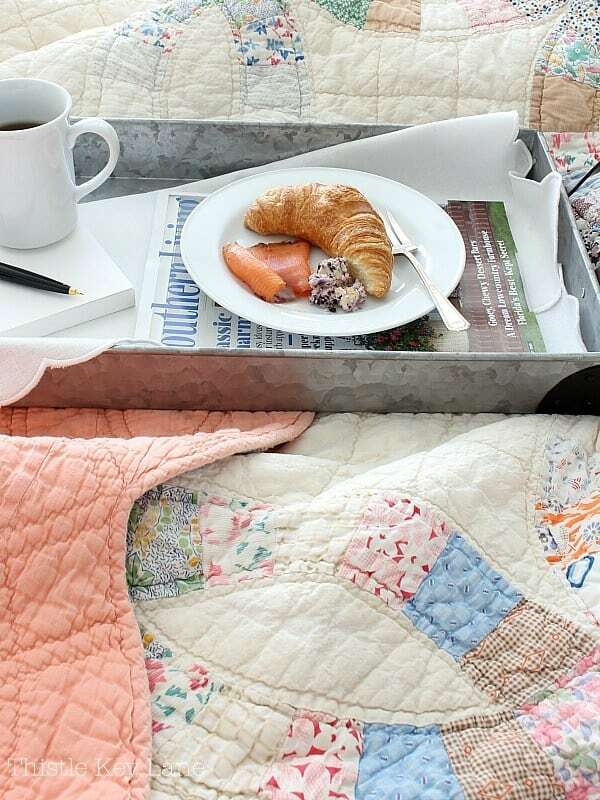 Candice from She’s Crafty Crafty came up with a genius solution for corralling all the paperwork chaos of home! 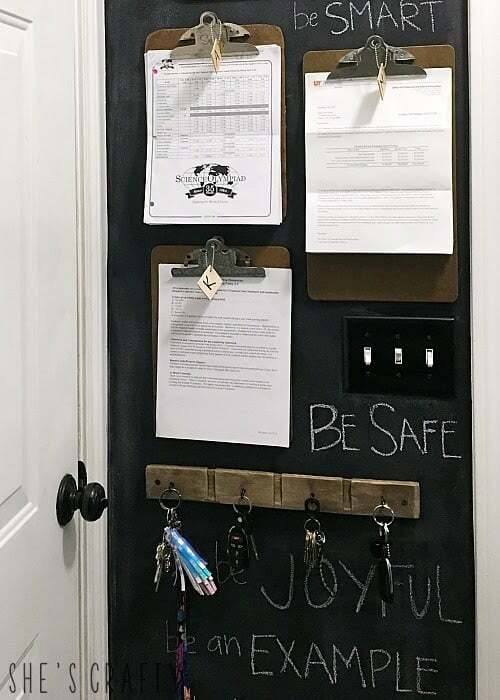 Her chalkboard and clipboard command center is practical, pretty, and provides a place for sweet messages for the family. 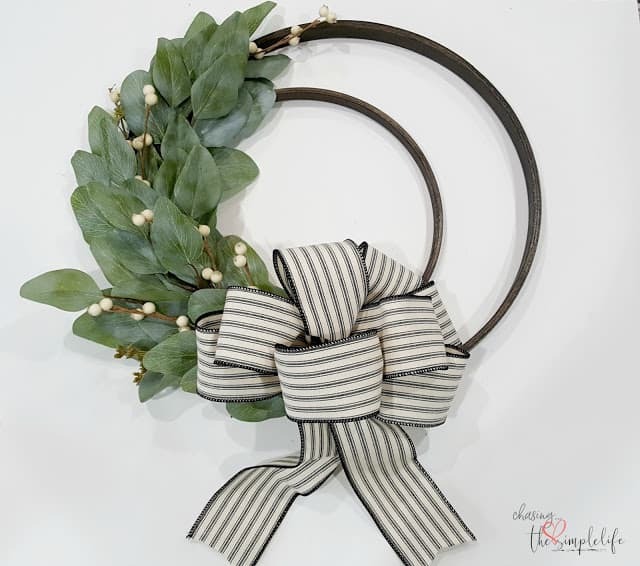 Chasing Quaintness shows us how to make a stunning winter wreath. I love how it looks hanging on her front door. You should go check it out ~ It’s simply beautiful! 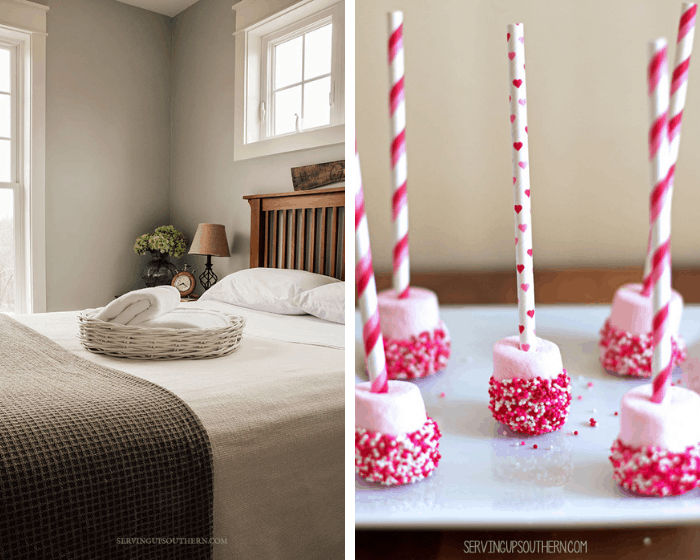 Michelle’s tips at Thistle Key Lane on how to create a cozy winter bedroom has me thinking of curling up in a quilt with a good book. Head on over to see her practical tips and ideas for warm winter decorating. Since this is a party, please do mingle with other guests by visiting several other links (ya know, spread the love) – comments and pins are always a blessing. 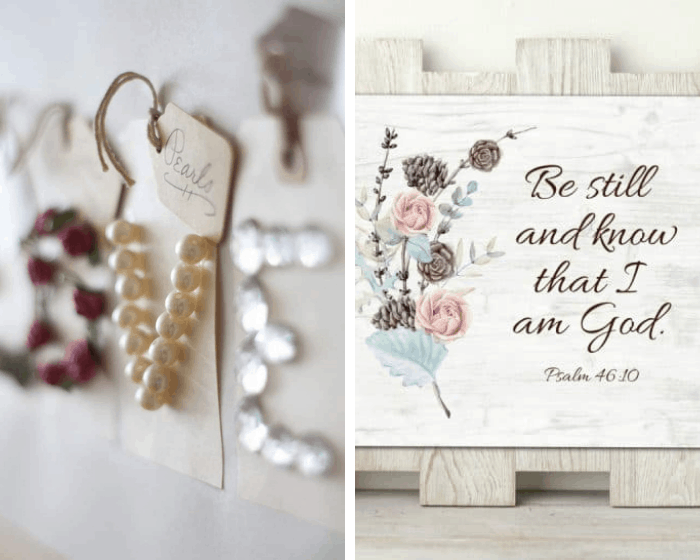 Now it’s your turn… link-up and visit all the beautiful blogs! We look forward to seeing you all next week with five new features… It could be you! Thanks for hosting, happy Tuesday! I LOVE seeing you here each week, Pam! Truly! Thank you for coming! Thanks for the party, Julie. Glad to read that you’re feeling better. I hope you have great week. Thanks, Bev… Hope you stay healthy! 😉 Thanks for linking-up! Have a great week, too! Thank you so much for hosting this party. It’s my first time joining and I’m excited to see what everyone else is up to. Glad to hear you are feeliig better. Since you both live in “wee abodes”, I just gave my dear friend, Mary Elizabeth, the link to your blog so she’ll be following along as well! So glad to have you at the party, Cheryl. 🙂 We are definitely both ‘wee-aboders’. 😉 Thank you for sharing with Mary Elizabeth. 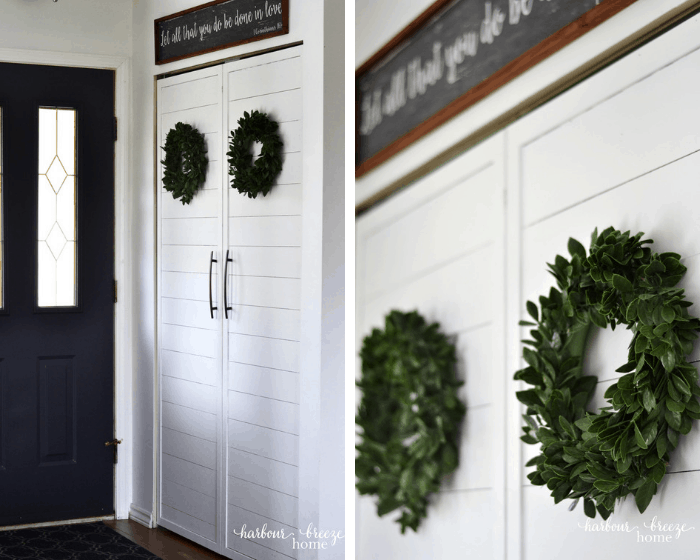 I’m enjoying seeing her new home come together on your blog! So many great ideas and such talented ladies! Gardening is absolutely part of keeping a home! Link away, sister! 😉 Hugs! I’m almost 100% So glad you linked up, Lisa! Hope to see you each week… always love your projects! Just linked up! Great party! Thanks for linking up! Always love your projects, Roxanne… truly! Julie, thanks so much for letting me know about the link party! I am still getting a bit turned around with who is linking and hosting ;). I am calling the old lady, menopausal card on this one!! Thank you so much for featuring my heart post. I really appreciate the exposure. Thank you for hosting. We are so glad you link-up with us, Sue! Congrats on the feature!